Patricia Ann was born on September 2, 1948 in Darlington County. She was the loving daughter of the late Willie Nathaniel and Sarah Lee McCall Coe. She received her education in the public schools in the area, attending Butler High School. Patricia was a member of The Living Church of Jesus Christ under the leadership of Bishop B.L. James. 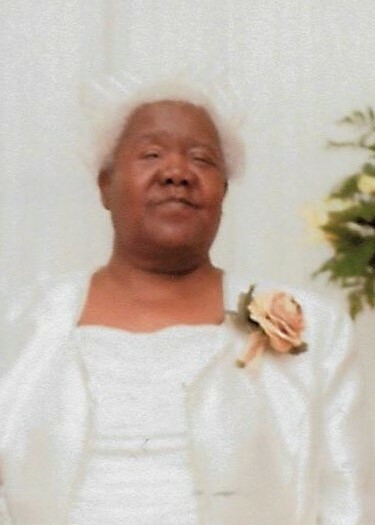 The house of worship and communing with the saints and church family were of great importance as she served as a Pastor’s Aide, Soup Kitchen mission and also was an Evangelist. Surviving to cherish her memories are her husband, Thomas S. Shaw, Jr. of Hartsville, SC; Four children, Aubrey (Joan) Shaw of Charlotte, NC, Michelle Stukes, Christopher Shaw and Priscilla (Andrew) Lewis all of Hartsville, SC and Mekesha Shaw of Florence, SC; Ten siblings, Doris McFarland, Sheila Coe, Sarah Frances Pouncey, Brenda Brown, Deborah Sellers, Allen Coe, Michael Coe, Tommy Coe, Will Coe, and Ronnie Coe all of Hartsville, SC; fourteen grandchildren, seven great grandchildren; a host of nieces, nephews and other close relatives and friends.